This Book of Memories memorial website is designed to be a permanent tribute paying tribute to the life and memory of Donovan Dearing. It allows family and friends a place to re-visit, interact with each other, share and enhance this tribute for future generations. We are both pleased and proud to provide the Book of Memories to the families of our community. Donovan Michael Dearing, 34, a 14-year resident of Anne Arundel County, passed away on June 8, 2018 after a courageous, 3-year battle with esophageal cancer. 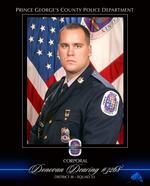 Born on October 18, 1983 in Michigan, Donovan felt the call to serve others at a young age. He graduated from high school in 2002 and joined the U.S. Marine Corps. He was deployed to Operation Enduring Freedom in Afghanistan and was proud to have served his country. 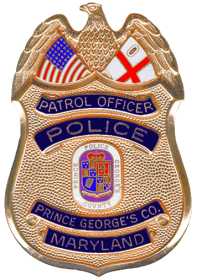 After receiving an honorable discharge in 2006, Donovan continued his legacy of service, this time to his community, by joining the Prince George’s County Police Department where he rose to the rank of Corporal and served with distinction as a Field Training Officer. He was a member of the Fraternal Order of Police Lodge 89. In his spare time, Donovan was both an avid hockey player and fan. He was a forward (#91) for the Laurel Sharks hockey team, scoring 133 points in 124 games, and he followed the Capitals with a passion. He also enjoyed camping and fishing. Donovan is survived by his loving wife, Michelle Dearing; two children from his previous marriage, Alexander and Madison Dearing; his mother, Margaret Hall and her husband, Robert; and his father, Donald Dearing and his wife, Jacqulene. He was the beloved brother of Kim Rooney, Rob Hall, John Tedder, Mike Hall, Jody Tedder, Melissa Wood, Nichole Jenkins, Jon Hall, Chelsie Colella and Isaac Dearing; and uncle of Colin Tedder, Alexis Rooney, Ethan Tedder, Addison and Kora Hall and Reagan Wood. Donovan was honored to be the best friend of Anwar Mirza, Brandon Farley and Marek Materka. Friends are invited to celebrate Donovan’s life with his family from 1 to 3 and 5 to 8 p.m. on Thursday, June 14 at the Kalas Funeral Home, 2973 Solomons Island Road, Edgewater. A funeral service will be held at 11 a.m. on Friday, June 15 at Holy Family Catholic Church, 826 W. Central Avenue, Davidsonville. Burial will be private.